Half of all insect species are dependent on living plant tissues, consuming about 10% of plant annual production in natural habitats and an even greater percentage in agricultural systems, despite sophisticated control measures. Plants possess defences that are effective against almost all herbivorous insect species. Host-plant specialization, observed in over 80% of these animals, appears to be an effective adaptation to breach these defence systems. 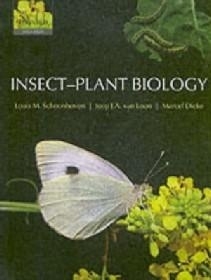 The mechanisms underlying plant defence to invading herbivores on the one side, and insect adaptations to utilize plants for nutrition, defence and shelter on the other, are the main subjects of this book. In the case of plants exposed to insect herbivores, they include the activation of defence systems in order to minimize damage, as well as the emission of chemical signals that may attract natural enemies of the invading herbivores and may be exploited by neighbouring plants that mount defences as well.For insects, they include complex bevioural adaptations and their underlying sensory systems (with their implications for learning and nutritional plasticity), as well as the endocrinological aspects of life cycle synchronization with host-plant phenology. Insect-Plant Biology discusses the operation of these mechanisms at the molecular and organismal levels and explicitly puts these in the context of both ecological interactions and evolutionary processes. In doing so, it uncovers the highly intricate antagonistic as well as mutualistic interactions that have evolved between plants and insects. The book concludes with a chapter on the application of our knowledge of insect-plant interactions to agricultural production. This multidisciplinary approach will appeal to students in biology, agricultural entomology, ecology, and indeed anyone interested in the principles underlying the relationships between the two largest groups of organisms on earth: plants and insects.